Buffalo, NY, originally uploaded by calanan. Manray and I made a quick trip home to Buffalo, NY to attend some family events, including a wedding, a baptism and even a surprise engagement (of her brother, Kevin to his girlfriend, Angeline). I have plenty of photos to upload over the coming days but the one above was taken as we landed. 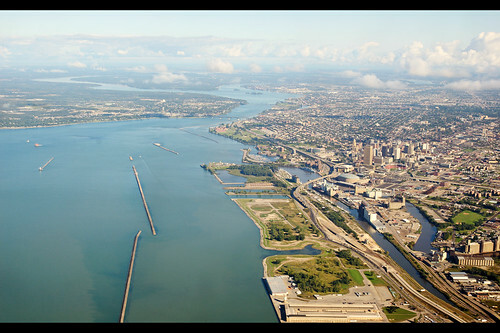 I'm glad we took the redeye, if only for the sweeping views of Buffalo, Grand Island, Niagara Falls and even the Canadian Niagara Peninsula! YESSSSS! I love it! Don't know why! Just freaking love it!